Disclosure: This post is sponsored by Fragments. As always, this post contains my own opinions. 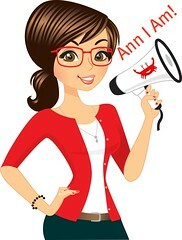 Valentine's Day is just around the corner and many women love receiving jewelry as a gift. What could be a better gift than designer jewelry? Fragments offers beautiful jewelry that is often touted by the stars and featured in many fashion magazines. As seen on Fragments webpage. You can read more about who is wearing Fragments Jewelry, including Christina Aguilera and Jennifer Hudson among others, on their website at http://www.fragments.com/press/who-wore-it/. If the stars are wearing it, you know it is in style! Looking around at the site, I found many pieces that I absolutely love. There are so many unique pieces that grabbed my attention. They also have an exquisite selection for brides that contains pieces unlike any I have ever seen before. These are truly works of art! Here are a few pieces that I am featuring from their collections. Any of these would make gorgeous gifts for Valentine's Day. You may think that you can't afford designer jewelry, but Fragments features pieces for every price point. 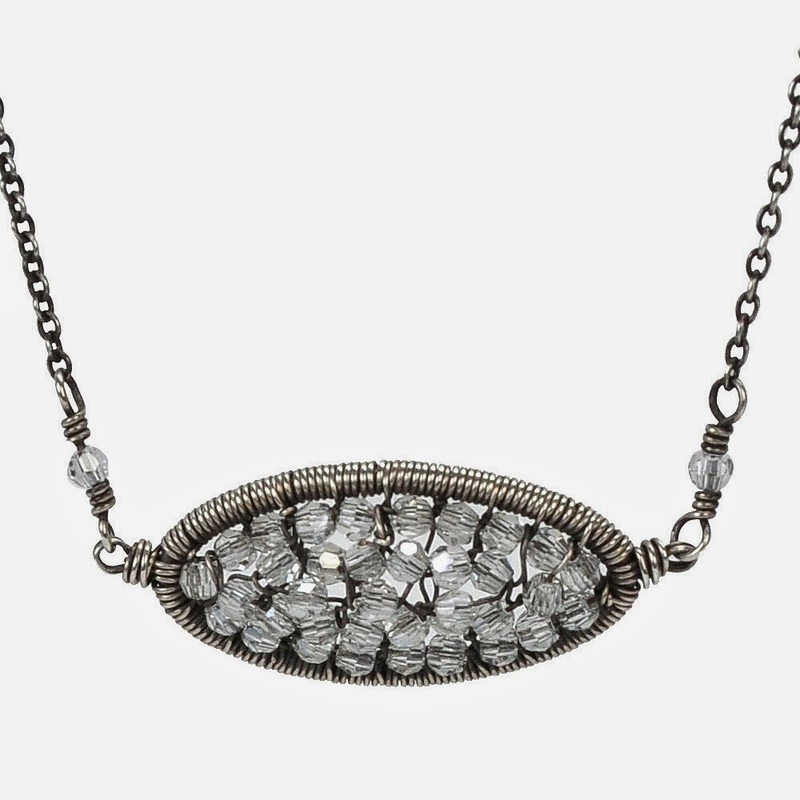 There is a beautiful Dana Kellin Oval Ice Pendant necklace for just $265. Swarovski crystals are embedded in an oxidized silver that would be beautiful for everyday wear. I love the look of this piece! This piece would make a statement, whether worn against the skin or atop clothing. I really think this is a piece that could go from everyday to dressy. Another interesting piece is Stephen Webster's Forget Me Knot ring for $295. This ring, made of black rhodium plated sterling silver, is an extremely unique piece. It would automatically draw attention with its edgy look. It is definitely something that makes a statement! The Kismet Open Wings is such a beautifully sweet necklace. This necklace is made of 14K Rose Gold with a 17" adjustable length. It is a perfect gift for your angel! Delicate and simple, the receiver of this will treasure it for years to come. The price is $420 for this timeless piece. The Kevia Blue Water Drops earrings are absolutely stunning! 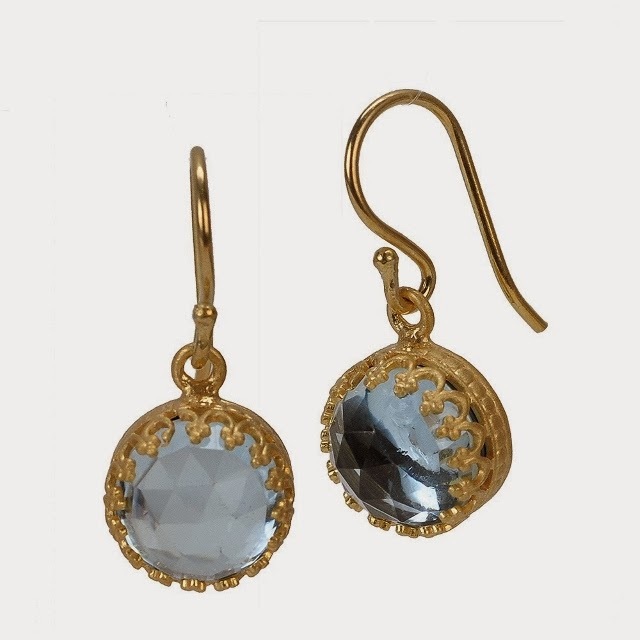 These gold plate bezel set earrings dangle delicately from the ears to create a rich, romantic look. They feature 1/2" aquamarine stone (my birthstone--how perfect). Anyone would love these earrings. They look like something you would see royalty wearing! Once again, at just $275, this is affordable. For those of you with a bigger budget, this is a perfect gift for the one you love. What better way to say I love you than with a bracelet announcing your love? 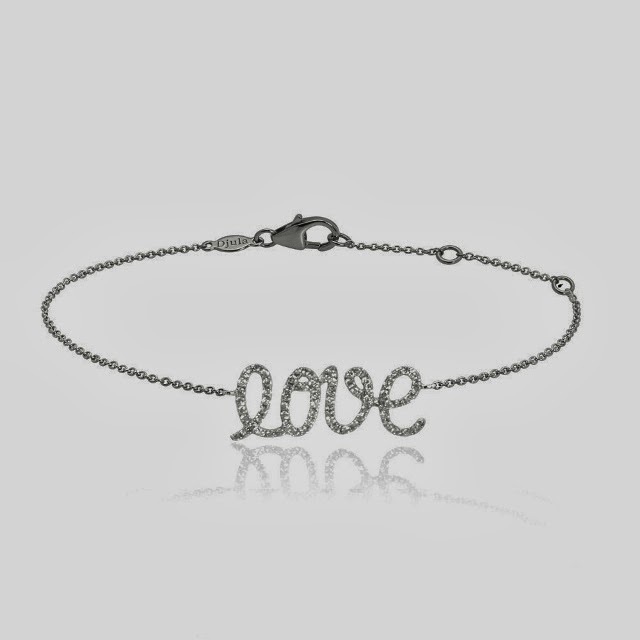 This Djula Love Bracelet is white gold with diamonds proclaiming your love. This would be beautiful worn alone or paired up with other bracelets. Naturally, this is a bit pricier at $1275. The Forget Me Not ring is very unique! I really like it. 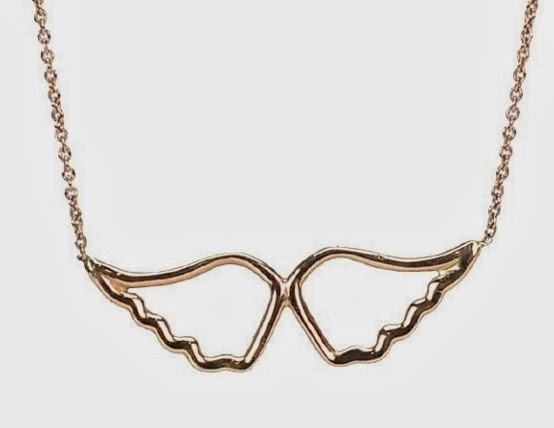 The Open Wings necklace would be a beautiful tribute for me to wear in honor of my angel babies. Wow! I have developed a love for jewelry lately. These pieces are awesome. I really like them. I’m definitely going to be browsing and maybe finding a signature piece to add to my collection.